Your aging pet is just like other senior members of your family. Their joints ache. Their vision isn’t quite as sharp, and they tire easily. Sometimes your pet needs to take things just a little bit slower. While they still enjoy your company they prefer easy companionship over active play. As your pet ages, it’s important to give them the same health advantages and quality care you’ve provided over their lifetime. Because their bodies are different, you must tailor your efforts to their changing life and lifestyle. At Hebron Veterinary Hospital, we know quite a bit about senior pets. We understand that pets live longer than ever and aging pets have changing needs. While quality care should remain a constant, as your pet transitions to geriatric status, we must make the adjustment to senior pet wellness. Senior preventive care efforts continue the early diagnosis and treatment strategies we’ve always recommended. We shift our focus just a bit to support your pet’s senior lifestyle and help them live a longer happier life. Everything about our pets is fascinating, including the way they age. It’s a common belief that one pet year is equivalent to two human years, but that’s not quite accurate. Cats and dogs do age differently than humans, but their life expectancies aren’t that simple to calculate. Pet age is based on a complex formula that considers size and breed. While toy breed dogs live 14 to 18 years, larger dogs have a 7 to 11-year life expectancy. Cats live an average of 18 to 20 years, but they’re considered seniors by age 8. We understand that as your pet transitions to senior status, they may develop illnesses and conditions that weren’t a concern when they were young. Once we confirm your pet as geriatric, it’s important to plan for their senior pet wellness needs. We recommend comprehensive annual or biannual examinations, complete blood work, urinalysis, and other basic geriatric screenings to evaluate these and other organs and bodily functions. 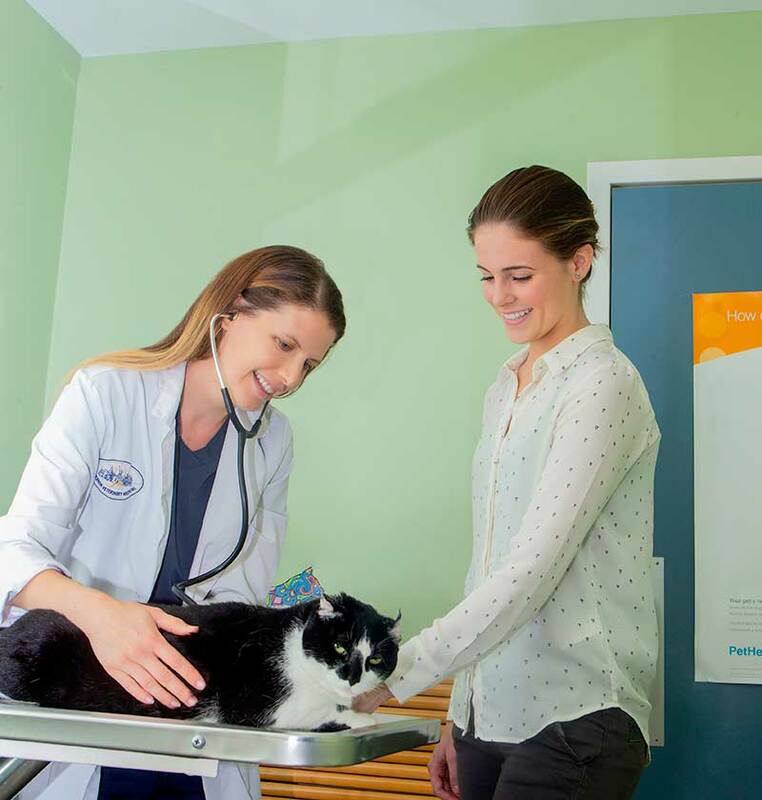 If we diagnose a disease or condition, we work with you to formulate your pet’s treatment plan and restore their health. At Hebron Veterinary Hospital, we consider you, your pet, and our veterinary staff as members of a team. 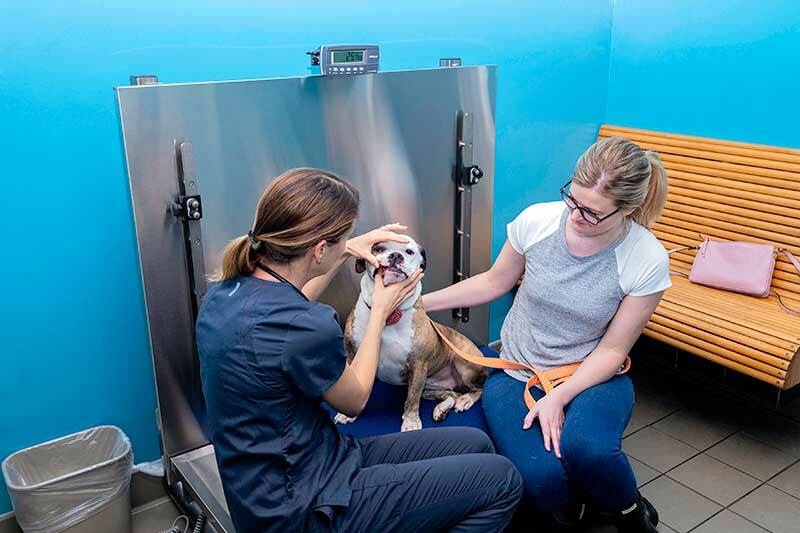 Each team member does their part to keep your pet happy and healthy for as long as possible. As your pet ages, our primary goal is to do whatever we can to keep your pet living a long happy life.